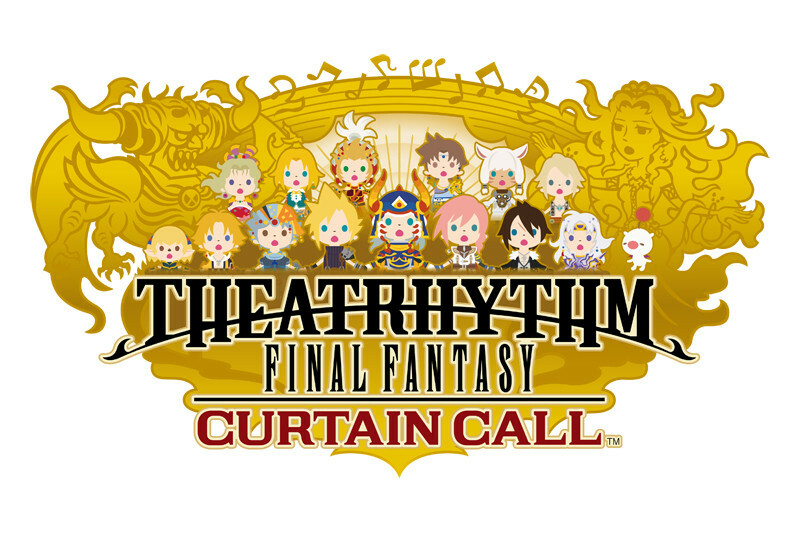 Theatrhythm Final Fantasy: Curtain Call - "Now with more SaGa!" You don't know how much disappointment I have on my face right now. Well at least it's not Cookin' with Chocobos. I think I would have enjoyed Cookin' with Chocobos more than this. I refuse. :| Even if it is cute, I refuse! Even if it is a rhythm game...I definitely refuse! I don't want your cute crap. I want the games we've been asking for since 2006. P.S. Rhythm games have been on the decline, SE. And you never do it right. Like KH2...and BBS. Bonk. Haha, I went from a big grin from the cute "CUTE!!! ", to stunned unhappiness "WHY??? ", to complete disdain "NO, REMEMBER ATLANTICA AND ICE CREAM BEAT"
Then i threw my head back down on the pillow because of my fever. ... I still kinda want to buy it. re: Theatrythym: Final Fantasy - "<Shamdeo> AHAHAHAHA WHY"
...it is sorta cute though. Even though its the biggest troll device ever fathomed in the last...couple hours. Love the music from your favorite Final Fantasy game? Well, now you can you interact with your favorite music in the upcoming Nintendo 3DS game Theatrythym! Play as your favorite characters as you defeat the baddest of the bad utilizing the rhythm of your favorite Final Fantasy music! Well, I can't say I'm surprised...actually, I am surprised. I mean Square does take value in the music compositions for their games, so it's not surprising we would see something like this. At the same time, I wouldn't have expected to see something like this. This is LITERALLY the most WTF moment in my video game history. I don't know what to think or say. It's just.......so........weird....! ...Its funny how your sig says, "You'll never extinguish our hopes!" Play as your favorite characters as you defeat the baddest of the bad utilizing the rhythm of your favorite Final Fantasy music! I can't take this line seriously. They aren't the baddest of the bad if they're chibi-fied and in a rhythm game!